The holidays bring such a rush of excitement that the list of to-dos can quickly become overwhelming. Creating a "family motto" at this time of year is a simple way to keep what's most important to you in perspective as you navigate your calendar, your wish lists, and your daily life. Distilling your personal motto into one word makes it easy to remember and keep alive. 1. When it comes down to it, what's most important to me/us this season? 2. What's the best and most fun way to accomplish that? 3. How do we say that in one word? At our house, we hang a banner that says "make" in our living room and it guides us the whole month of December. Our friends chose "calm" to remind them to say no to most holiday obligations. You might come up with something entirely different and that's what makes each family special. What motto inspires you this season? Today is World Prematurity Day. According to the World Health Organization, 15 million babies are born preterm every year. Here in Portland, NICU Families Northwest is working hard to support families whose children are in the NICU, through peer support, resources, and love. 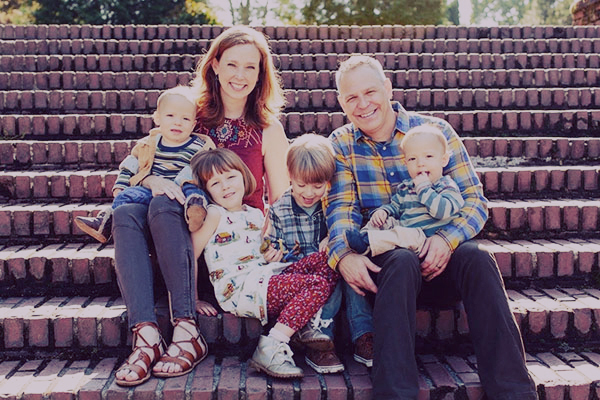 We are proud to partner with NFNW to offer discounted postpartum support for NICU families, and today, we are honored to feature a story from a NICU Mama. This is Miranda. She was born at 26 weeks and 4 days at Randall Children's Hospital in January of 2013. She was born early because of Preeclampsia and HELLP syndrome and weighed 1 lb. 2 ozs. at birth due to Intrauterine Growth Restriction (IUGR). We discovered Miranda wasn't growing on schedule at our 20 week ultrasound, but I wasn't exhibiting any of the typical symptoms for Preeclampsia. We tried to remain optimistic and confident that she would be born healthy and at full-term, but each week without answers made it challenging to not become more and more anxious. At just past 26 weeks I was admitted to the Labor & Delivery unit after a concerning non-stress test. In three days my condition worsened, while the cause remained a moving target, culminating in an emergency c-section on the final day. There were many challenging things about being in the NICU, but I think one of the hardest was trying to manage other people's expectations and understanding of Miranda's hospitalization. Because she had a relatively uncomplicated stay, many friends and family focused on the fact that we were lucky she survived. They would say she was a miracle. I think they expected me to be overflowing with emotion— gratitude, and relief. What I think was hard for them to understand was that I didn't want to think about her ever having been close to death. For a long time after she was born, I couldn't manifest a lot of emotions that were visible on the surface, especially not happiness. If I allowed myself to get too happy it would easily cross over into a great and deep sadness that was hard to control. I feel like my emotional wires were crossed for a long time after the NICU, and moments of gratefulness or relief would bleed into a profound sadness for what Miranda had to endure, and our fears and anxieties during her 80 day stay. I started a support group for families at our hospital before we were discharged, and would walk the halls posting notices on each door, hoping to make connections with other parents. Connecting with peers normalized our experience and created a community of people that understood all the acronyms, accepted our fears and concerns, and validated our feelings. If it weren't for those first families who accepted me and helped support me, I might still struggle with crossed-wires, but time and community have helped me heal. 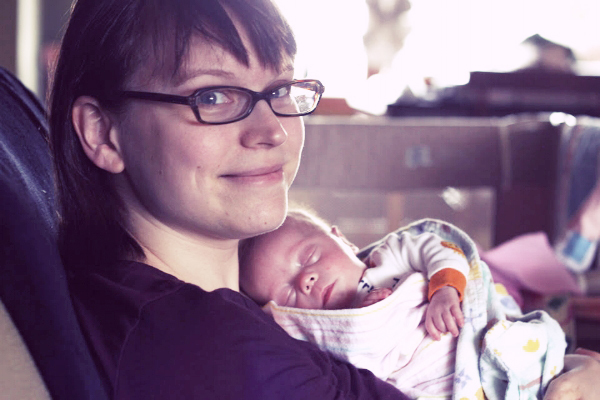 The impact of being in the NICU is significant and often life-changing in many ways. 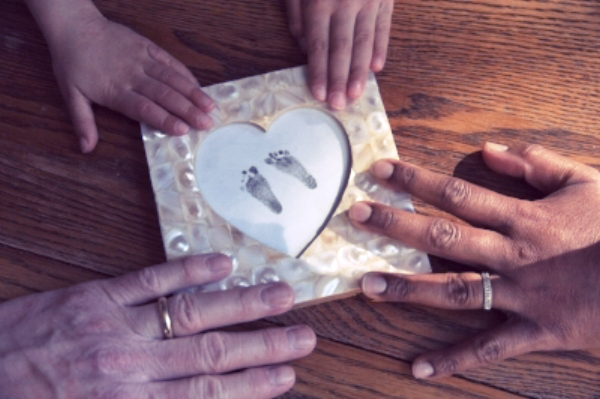 NICU families are unlike any other families I know, and I would have chosen to be one— but I am truly proud to be one. 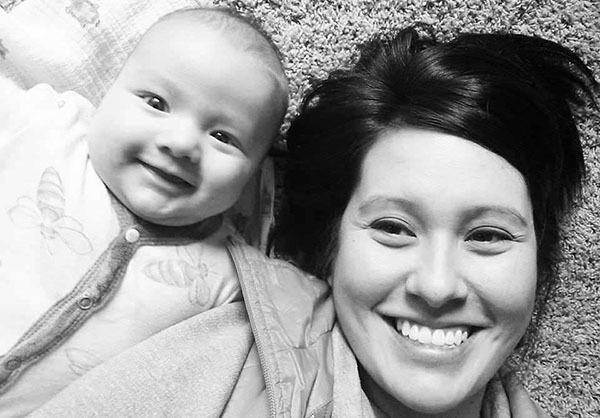 Anna David is the Founder of NICU Families Northwest and the proud mama of two gorgeous kids. Welcome to the world of fatherhood! Whether your young one is brand new, crawling or teetering around the house, you’re in for some treats. I never wanted kids, but now that I have a pair of boys (one 5 years old, one seven months old), I wouldn’t trade it for anything. There is the daily feeling that the part of my brain that recognizes “cute” is about to explode. There is the incomparable feeling that comes hearing the word “daddy” spoken with joy and trust, and knowing it’s directed toward you. All of that said, there are some major challenges headed your way. Most likely they’re there already. Give a nostalgic wave goodbye to uninterrupted sleep. As the wee ones grow, it will start to creep back, but better that you treat quality sleep as a welcome surprise when it shows up than something to be expected. What to do about that? I’ll pass on a few tips to help you improve what sleep you can get and to help boost your energy when you’re awake. Before that, I want to talk about being tired and being in a relationship. Take a moment to think about how your child acts when (s)he is sleepy. That’s usually when the angry crying comes out, right? Adults aren’t so different, we just have coffee. Oh, and we have words. Here’s the thing with that: we use our words to show our anger at whatever we think is making us angry. When you’re tired all of the time (and that will be the norm, at least for the first year), you’re going to get angry and frustrated. Our tendency, when angry, is to find an external source to blame our anger on. Who is there all of the time? Who is also tired, angry and imperfect? Who makes the perfect scapegoat? Our partner. This is something I see over and over; that first year or two of parenthood ruining relationships. Fortunately, avoiding that trap isn’t rocket science. Understand that everything that is so frustrating in that moment is temporary. Understand that your anger is coming from you, even if that other person is doing something frustrating. Understand that using your words to intentionally hurt your partner will not help you. It won’t make them perfect (and if it did, how do you think that plays out with your imperfections? ), it won’t help your frustration, but it might just permanently damage your relationship. Hang a punching bag in the basement, or find a gym that has one; find another way to work out your frustration. Side benefit- this will help your sleep much more than starting a fight with your partner! 1) Make your peace with going to bed early, at least for now. Take the last 30 minutes before bed and make them free of screens. No TV, no computers, iPads, iPhones, etc. I know this is heresy to western culture. I know the siren song of Netflix, especially when exhaustion knows no bounds. Still, sleep is more important right now; you can binge watch Game of Thrones another time. Why is this important? Our bodies release hormones in response to changing light conditions. In a natural setting, we become primed for sleep as light fades. When it’s dark, we’re ready to sleep. Now, nightfall comes with the flip of a switch. Along with that, those screens are making your mind more active (unless you’re watching a Bob Ross marathon). To summarize, you’re hitting the bed with an activated mind and a body that thinks it was midday a few minutes ago. You might be able to get away with the sleep problems this causes without kids. 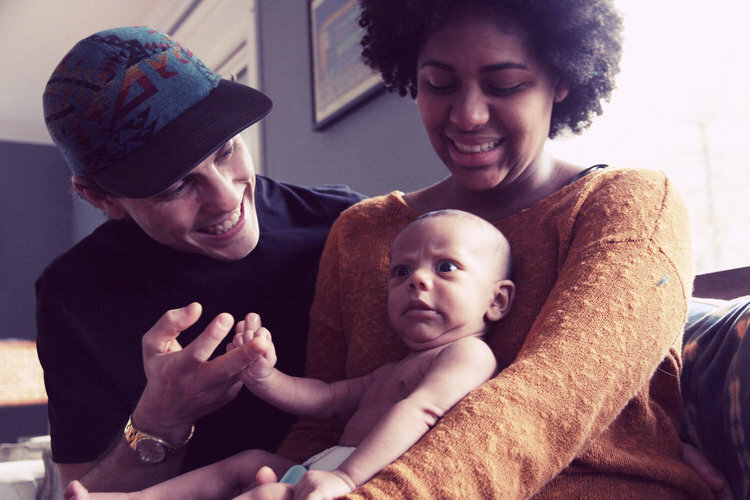 With a newborn in the mix, you won’t be able to get away with it. 2) Avoid eating within three hours of bedtime. This is less important for breastfeeding moms, but relevant for everybody else. Eating bumps up your blood sugar, giving you energy. This is good in the morning or midday, but not right before bed. Doing so will make sleep harder and weight gain easier. 3) Add a few supplements to the mix. Vitamin D affects energy levels, the immune system and nearly everything else. If you’re in Portland, you are guaranteed to be deficient if you’re not supplementing. The vitamin D council recommends 5000 IUs per day for a 150 lb body. Like vitamin D, magnesium deficiency in the US is around 70%. Magnesium helps with stress and proper sleep. Taking it before bed will help your body sleep well during those times when sleep is possible. For a full explanation and protocol, check out this video. Vitamin B is also helpful for both stress and sleep; a simple B-complex is a good way to go, though you can also find ones designed specifically for stress and energy. All three supplements are affordable and easily available. All are very safe, if used correctly. 4) Adopt a whole food diet. I know, time is already impossibly limited. Here’s the thing: the more nutrients in your diet, the less sleep you’ll need to refresh yourself. The more alcohol/caffeine/chemicals you’re putting in your system, the poorer your sleep will be. The healthier the milk going to the little one, the more nourished they are. The more nourished they are, the better they will sleep. If you can follow all four of these tips, you might see a profound difference. Even if you only take one or two to heart, you probably will still see improvement. You’ll still be tired often, but that’s the price of parenthood. The trick is keeping it manageable enough to enjoy those random amazing moments. Michael is a father of two who has been in the natural health field for more than 15 years. His specialty is helping working parents boost their energy and improve their sleep, using natural methods. He has a BS in Health Sciences from Portland State. He is national board certified in holistic nutrition and is a licensed massage therapist. Check out his practice here. The information contained on this website is for informational purposes only. It is not intended to be a substitute for professional medical advice, diagnosis or treatment. Always seek the advice of your physician or other qualified health care provider with any questions you may have regarding a medical condition or treatment and before undertaking a new health care regimen, and never disregard professional medical advice or delay in seeking it because of something you have read on this website. Bridgetown Baby does not recommend or endorse any specific tests, physicians, products, procedures, opinions or other information that may be mentioned on this website. Reliance on any information appearing on this website is solely at your own risk. As I think on this upcoming day of gratitude and celebration for the amazing mothers and mothering figures in this world, I am struck by the galactic capacity of our being. We were created from the tiniest blueprint with the most far-reaching capabilities– capabilities that may not always feel accessible. It is my wish on this day of gifts and admiration that we also give to ourselves permission to be daring. To explore and accept the universe of possibility and capacity that lives within us. There are many ways to offer and receive recognition. On my personal journey, the most powerful one has been offering myself recognition in front of family or friends. Every morning, after waking and cuddling, but before we venture to the kitchen, my children and I meet in front of our big mirror. Here, we practice self-recognition– short and sweet on a school day– and we often surprise ourselves with the power and joy of the experience. Recognition and acknowledgement are a powerful practice of self-love, and it begins with I AM. Muster the courage to say anything and everything that speaks to the truth of your galactic capacity. And work that metaphor muscle! As a transformative life coach and wholistic organizer, Alethea empowers people to embrace their galactic capacity, to create earthquakes of change, to find the poetry of their souls, and to thrive in courageous being and doing. Find her work at High Fidelity Space.